King writes with wisdom about the complications of family relationships and creates a tribute to mothers with cancer in their family histories. He is able to vicariously give life to a husband who is fighting against time. The author brings each relationship full circle in light of God’s hope. A Thousand Sleepless Nights is an honest portrayal of life at its toughest, grace at its sweetest and forgiveness at its most powerful. Michael King’s beautiful, well-crafted story is one I will not soon forget. A Thousand Sleepless Nights brings an often under-discussed cancer to the spotlight and raises critical awareness. This touching novel explores the impact that colon cancer has on the patient as well as family members. 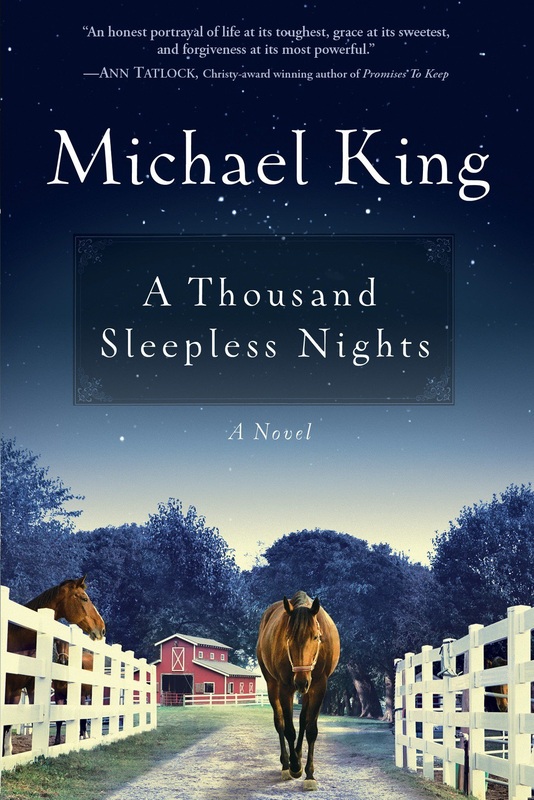 I found A Thousand Sleepless Nights incredibly readable. You understand minute by minute what Jim and Nena are feeling and start to project and fill in the blanks of where the story might go becasue you have forgotten you are reading a book. 5 Star Read. Michael King has penned a heart-wrenching yet touching tale about a family torn apart at the seams. His ease of storytelling pulls readers right into the lives of people on the brink, people struggling with the cards life has dealt them. King delivers a message that no matter our circumstances, no matter our troubles, there is always hope. This family saga touches on all levels. Be sure to have a box of tissues handy! A Thousand Sleepless Nights is a tender love story. A realistic reminder that cancer has no boundries; it doesn’t care how old you are, how much money you have, or who loves and needs you. This beautifully written tale is a reminder of the human spirit prevailing…love, forgiveness, courage, and dignity. A memorable read that touched me as a nurse, as a mother, as a daughter, as a sister, and as a woman. A Thousand Sleepless Nights is a poignant, cautionary story that is beautifully written, reminding us that any success achieved at the expense of our family comes at a high price. I was impressed by Mr. King’s effective use of language to create visual images, which added a nice literary style to the novel without overshadowing its message. A touching and worthwhile read.